Actor Matas Metlevskis in an early still from Motherland. A boy stares out the window as an old Soviet car rattles over uneven streets. He hears his mother’s voice, recounting her childhood memories: running through endless fields of wildflowers on her father’s beloved estate, swimming in the silver moonlight, dancing under the falling blossoms of the apple trees. But the view from the back seat tells a different story — stray dogs scour the crumbling sidewalks for food, an old grandmother searches trash cans for empty bottles. These are the fresh wounds of a country struggling to shed its Soviet past. The boy’s eyes dart back and forth as he takes in the sites of Vilnius, Lithuania. 1992. Shortly after the fall of the iron curtain, 12-year-old Kovas travels to his mother Viktorija’s homeland for the first time. It has been 20 years since she escaped the USSR and now she has returned to reclaim her family’s land. Consumed with nostalgia, Viktorija secretly hopes to start life over in Lithuania with her unsuspecting son. 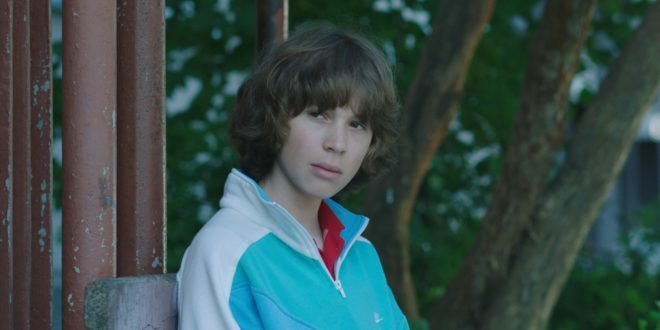 The film, Motherland, is a lyrical coming-of-age drama about to start production in Vilnius. The idea was born out of several conversations I had with non-Lithuanian friends about my experiences visiting Lithuania in the early 90s. One filmmaker friend, in particular, insisted that I explore using this as the backdrop for a feature film. Initially, I was surprised by how many Americans found my experiences relatable, but quickly came to understand that this homecoming story – and the underlying complexities of identity and heritage – had the ideal mix of specificity and universality that are essential to any good story. 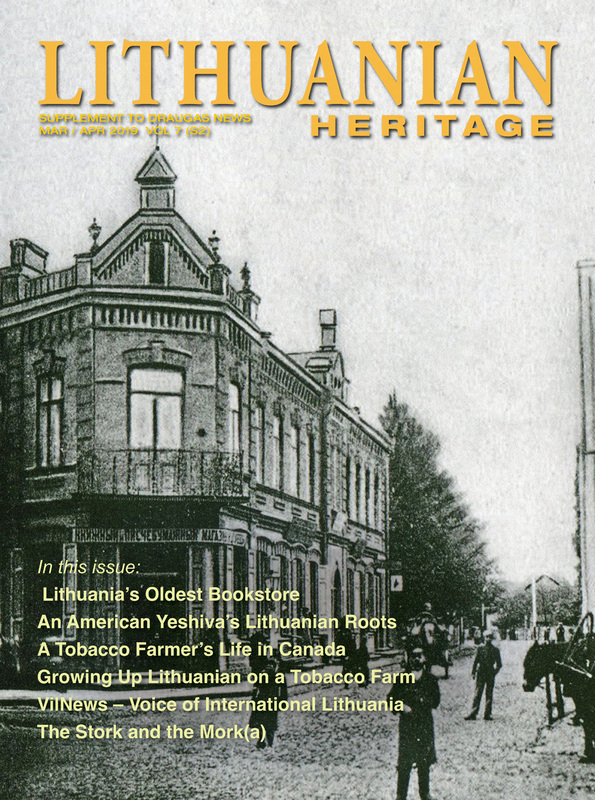 While the screenplay that I eventually came up with is totally fictional, I used my own memories and the experiences of many others in the Lithuanian community as the backbone of the story. While premiering my last short film at 2015 Berlin Film Festival, I met the experienced Lithuanian film producer, Uljana Kim. At that time, the idea for Motherland was just beginning to germinate in my mind. When Uljana asked if I had any film ideas that could be shot in Lithuania, I jumped at the opportunity. I spent almost every waking hour of the next several months polishing the treatment. That spring we applied to the Lithuanian Film Center and were rewarded a modest development grant – and the project has been barrelling ahead ever since. Despite this being my debut feature, the project has pulled together some of the top Lithuanian film talent. Lithuanian actress Severija Janušauskaitė, winner of Russia’s Golden Eagle award for Best Supporting Actress in 2015, (presented by the National Academy of Motion Pictures Arts and Sciences of Russia) will play Viktorija. Her adult counterpart will be played by notable Lithuanian theater and film actor, Darius Gumauskas (Emilija iš Laisvės alėjos). Perhaps most exciting, the lead role of Kovas will be played by talented young newcomer, Matas Metlevskis, from Manhattan, Kansas. We found him after a rigorous search through the Lithuanian American community and he has already impressed the entire team with his incredible natural talent. Established actors Dainius Gavenonis and Viktorija Kuodytė will play important supporting roles. Four-time Lithuanian Best Cinematographer winner, Audrius Kemezys, has already begun to show his expertise behind the camera. It has been breathtaking watching him, along with our incredible art department and costume designer, make 1992 Vilnius come alive before my eyes. 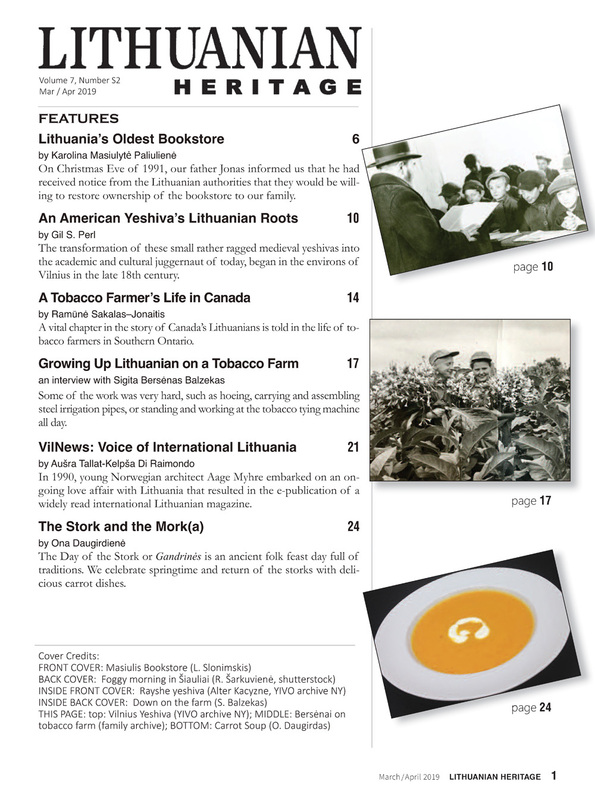 While the film is almost entirely set in Lithuania, the story explores post-Soviet Lithuania through a western lens. As such, we hope that Motherland will be able to break the barriers of past Lithuanian films and reach a worldwide audience. Already, there have been some positive signs from the international film world. 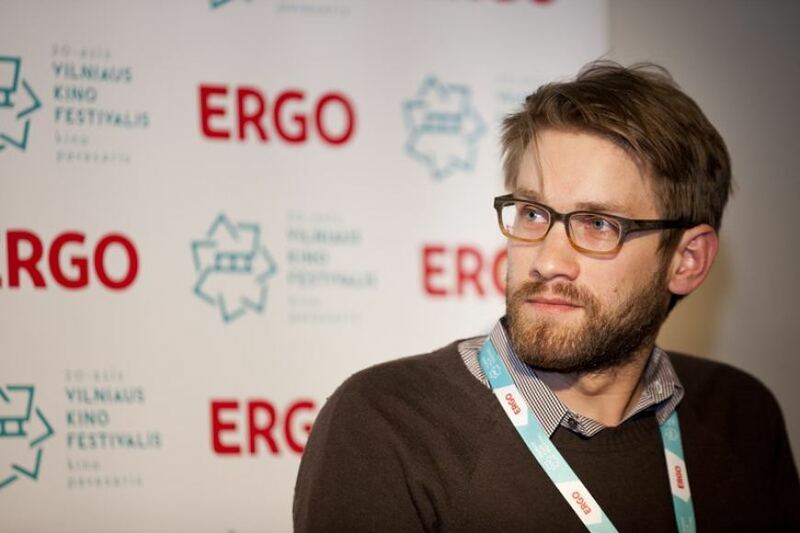 The project was chosen for the prestigious Eurimages development award at the Baltic Co-Production Market in Tallinn. It also received financial backing from Creative Media Europe, another highly competitive European film fund. We received financing from the Lithuanian Film Center, the National Film Center of Latvia, and even found co-producers in Greece and Germany to lend a hand. Most recently we won a sizeable production grant from Eurimages. The wide range of funding we have received is a testament to this story’s universal appeal and hopefully indicates that the project will be able to go far. While the backing we have secured up to this point has come completely from European film funds, the film is a Lithuanian American story. I’m hoping that those of you who have lived this story – who intimately know the time period and have personally experienced these complex questions of immigration and identity – will consider contributing to the successful completion of this film.